It’s been a long time, but we’re not dead! We’ve just been working hard on Aether Adrift. We’re breaking radio silence to bring you some good news, though! 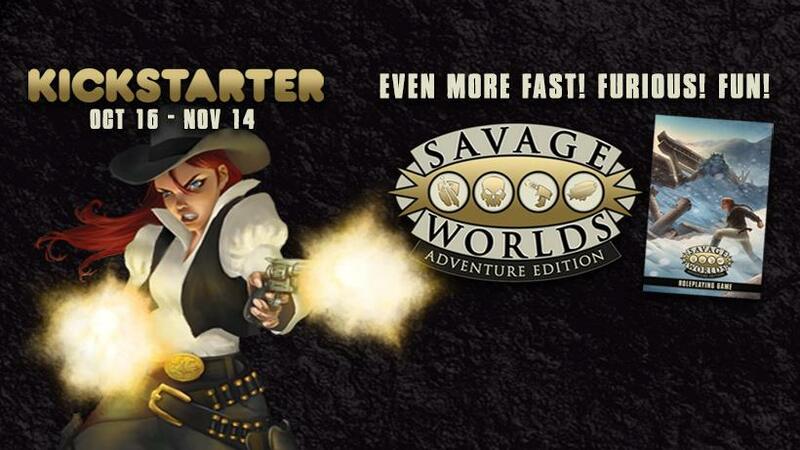 The new edition of Savage Worlds; Savage Worlds Adventure Edition, has gone live on Kickstarter. It funded in only a few hours, and it’s going to be bringing a lot of rules updates and changes that we’re eager to add to Aether Adrift. You might not hear from us for a while, but you can rest assured that we’re working hard to bring the world of Aether Adrift to life! That’s all for today, Voyagers. Newer PostThe Aether Adrift Jumpstart has launched!